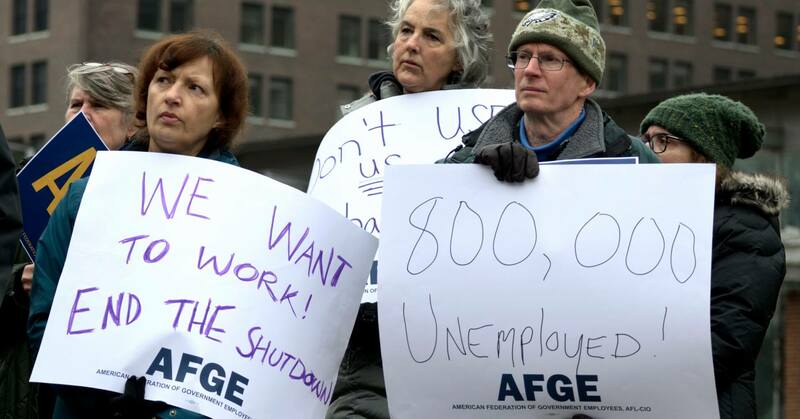 With no end to the partial government shutdown in sight, the Washington State Employee Security Department (ESD) has come to the rescue of furloughed federal workers. In a press release, the department stated that furloughed workers might apply for unemployment benefits even as they wait to return to their jobs. These benefits may help them meet their financial commitments. To apply for benefits, federal employees may visit the official website ESD.wa.gov or call at 800-318-6022. “The day they should call depends on the last digit of their social security number,” stated the release. Applications are entertained online or on the phone because there are no longer “unemployment offices” in Washington state. Since the department will be unable to contact their employers regarding verification of their wages owing to the shutdown, furloughed workers should be ready to provide the proof if requested. Copies of pay stubs or W-2 forms can be included as valid documents. For more information regarding unemployment benefits related to the partial federal shutdown, employees may go through the ESD web page specifically answering queries for federal workers affected by the shutdown. Over 73,000 federal employees worked in Washington as of the first quarter of 2018. Approximately 1,000 workers have applied for unemployment benefits with ESD since the furlough started. Applications also have been received from furloughed employees and also workers who were fired for other reasons. The release further states that according to the law, workers who receive backpay must repay if any benefits received. However, Washington state federal workers who are currently working full time but are not being paid during the partial government shutdown are not eligible for unemployment benefits because they are considered fully employed, states the special ESD web page.